Background: Diabetes is increasingly prevalent in Indigenous people along with associated ocular complications such as diabetic retinopathy, which is the most common cause of blindness in Canadian adults. Though the risk of diabetic retinopathy is higher particularly among Indigenous women, there is limited utilization of diabetic eye care services. Hence there is the need for studies and interventions that pursue an innovative and culturally appropriate way of providing relevant information to promote diabetes-eye knowledge and prompt eye care behavior among Indigenous women living with and at-risk of diabetes. Aim: To develop diabetes-eye messages for a mobile health (mHealth) intervention to promote diabetic retinopathy awareness and eye care behavior among Indigenous women living with diabetes and at-risk of diabetes in Saskatoon. Methods: In this study, we used a multi-stage content development approach to crafting text messages, informed by Self-determination theory. The authors carried out content development in four major phases: content selection, user input, review and refining of messages, and pre-testing of messages. Result: Messages were selected via content analysis and literature search. The messages were informative/educational, reminders, motivational, and supportive. Important considerations in message development included: message prioritization, text message formatting, delivery, and dissemination plan. Discussion and Conclusions: A collaborative approach with a multidisciplinary team was essential to develop a comprehensive, culturally pertinent and appropriate mHealth messaging. 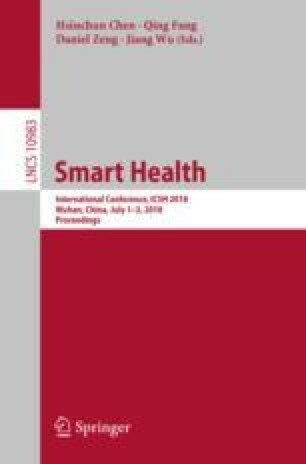 The study provided some key steps and considerations for the development of a mHealth text messaging initiative in an Indigenous population and may serve as a guide for similar health promotion interventions. We would like to thank LiveWell-Aim4Health program Saskatoon, Saskatoon Indian and Metis Friendship Centre, Canadian Diabetes Association Saskatoon and Saskatchewan Optometric Association for their input in the content development.